The EvergreenHealth 7 Hills of Kirkland on May 29 is an incredible tour of Kirkland, Washington, just outside of Seattle, in support of the non-profit organization Attain Housing. The ride features three route options with a little of something for everyone – as long as you’re up for some climbing. Check out the different route options and get ready for an awesome day of riding and climbing with a huge group of fun-loving other cyclists. The finish line features delicious strawberry shortcake at the gorgeous Marina Park on the edge of Lake Washington. In a mere 38 miles, you’ll climb seven hills and 3,023 feet of elevation. It’s a fun, rolling route that gives you all the bragging rights of hill climbs in a manageable distance. 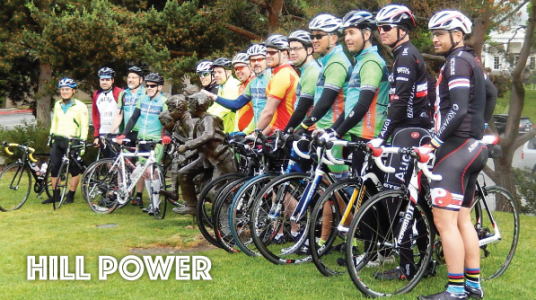 If you’re looking for more of a challenge, sign up for the Metric Century. This route is a beautiful extension into rural east King County. You’ll pedal 58 miles and bump up that elevation to 4,635 feet. Here’s where things really start getting interesting! The ride launched this route in 2015 to rave reviews. You’ll cruise further east before heading north to the Snoqualmie Valley. This route features all seven climbs, plus a significant amount of additional elevation. Over the course of those 100 miles, you’ll climb 7,036 feet. No matter which route you choose, you’ll be well supported all along the way. EvergreenHealth 7 Hills of Kirkland is well known for being a friendly ride with awesome services. This early season ride is a fantastic way to warm up your legs, and your ego. You’ll feel powerful after a day of riding and conquering those hills. And what better way than on a beautiful course along an event that’s raising funds for a good cause? This event is a fundraiser for Attain Housing, an organization that helps individuals and families caught in a homelessness crisis. Whether people are living in their cars, housed temporarily in shelters, or facing eviction, Attain Housing helps stabilize their family in safe housing and works on goals to create a stronger future.